Having the right skill to properly disinfect and bandage wounds aside from having the best first aid kit is really important. Severe bleeding can become life threatening very quickly. 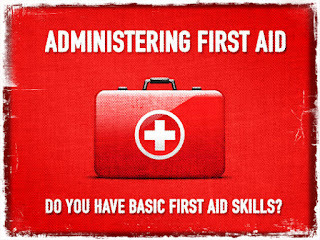 By learning the first aid principles of how to control bleeding one will have the knowledge of how to save a persons life. Cardiac arrest could be fatal and would certainly result to death of a victim if not treated with CPR as the heart stops pumping blood. CPR allows the rescuer to revive a person in cardiac arrest by keeping oxygen moving to their brain until help arrives or the person recovers. These skills allow a bystander to perform the correct techniques to clear a blocked airway. If a patient is suffering from a blockage in the upper airway he is at risk of going into respiratory arrest. Knowing the correct skills will allow you to clear the airway and allow the victim to survive only suffering a scare. Too much blood loss will result to a drop in blood pressure. Very low blood pressure can be very fatal and could kill a person in just a few minutes, if you were unsuccessful in stopping the bleeding then you need to administer shock treatment if necessary. You never should give a shock patient water because it could lead to choking. Understanding the principles of spinal and head injuries is essential to saving lives and to prevent causing further injury. 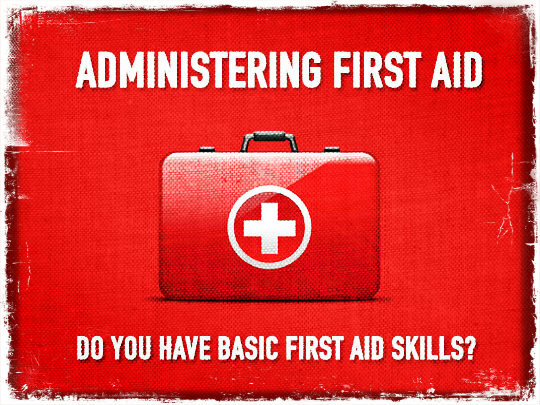 Just by partaking in a basic first aid course one will learn the correct way to deal with and handle spinal and head injuries.